Running counter to many of the rumors circulating ahead of the Cupertino event, Apple today announces the Apple Watch, not the iWatch. Unlike the Moto 360, Apple's offering takes the squarer form adopted by many other manufacturers, but there are differences. Taking design cues from older iPhones -- think 3GS period -- the Watch was relegated to the infamous "one more thing" slot after the iPhone 6 and iPhone 6 Plus were announced. Rather than the unibody design that some had expected, the Apple Watch features six different straps, comes in two sizes (38 mm and 42 mm -- his and hers essentially), and will be available in three different finishes. Just like the iPhone 6 and iPhone 6 Plus, the Apple Watch's display is made from sapphire crystal but there's something interesting to the right of the screen. More usually found on a traditional mechanical watch, there's a crown -- but this is not used for winding up a spring. Instead, this is a new form of input that can be used to scroll around the interface, zoom in and out, and doubles up as a home button. 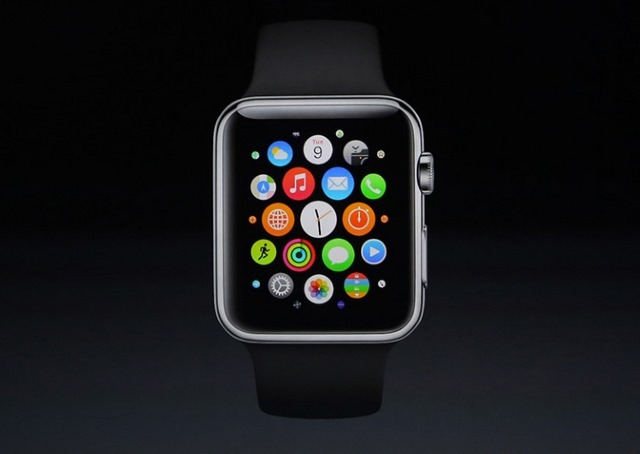 Despite the squared surround, the Apple Watch's UI is very round in flavor, mimicking the look of a traditional watch. Tim Cook described the Apple Watch as "the most personal device we’ve ever created", and the screen features an intriguing touch. This is not just a touch sensitive screen, but a display that can distinguish between touches and taps, opening up new possibilities for interacting with apps. There's haptic feedback courtesy of the Taptic Engine (which can be used to provide map direction so you don’t need to keep looking at the screen), and the device is powered by the S1 system. Like other wearables, there's a raft of sensors on board to track movement, heart rate, and sleep pattern; information which is then fed to the Health app on iPhone and iPad. And this is something potential buyers need to keep in mind -- Apple Watch relies on iPhone, so you'll need to have a handset if you want the wearable (it's compatible with iPhones back to the iPhone 5). As there's a relatively small screen to work with, there's no keyboard. Instead the Apple Watch suggests messages you might like to use to reply to those you receive and also includes an animated emoji system. Siri is also on hand to allow for voice control, and charging is taken care of by a MagSafe connection. Apps will be what makes the Apple Watch a success -- demonstrations showed the device being used to unlock hotel rooms, and Tim Cook suggested using it as a remote control for the iPhone camera. There's also scope for contactless payment. There are a lot of options. With six straps, three different finishes, and two sizes, there are numerous combinations to choose from. 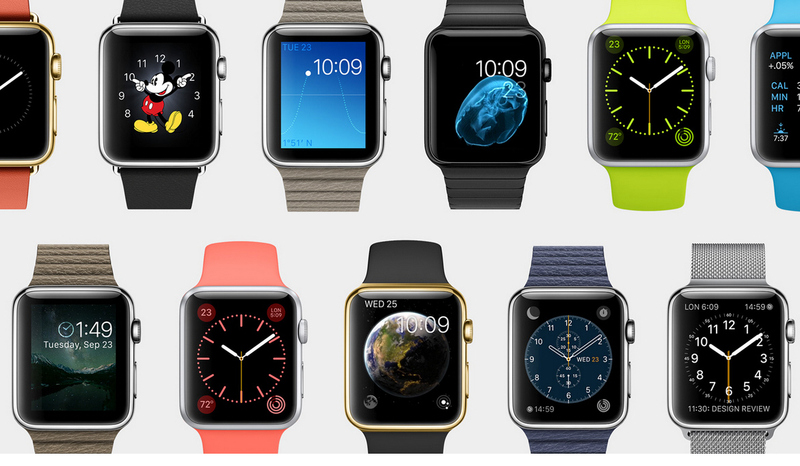 Factor in customizable watch faces, and the level of personalization is impressive. There's no firm release date yet, but if you were hoping to get one for Christmas, you're out of luck -- the Apple Watch is pegged for launch early next year. With pricing starting at $349, it's sure to fare well against the competition, but the requirement for an iPhone automatically limits the possible market reach. So... impressed? Underwhelmed? Blown away?